Roundabout in Front of Poor Reds? 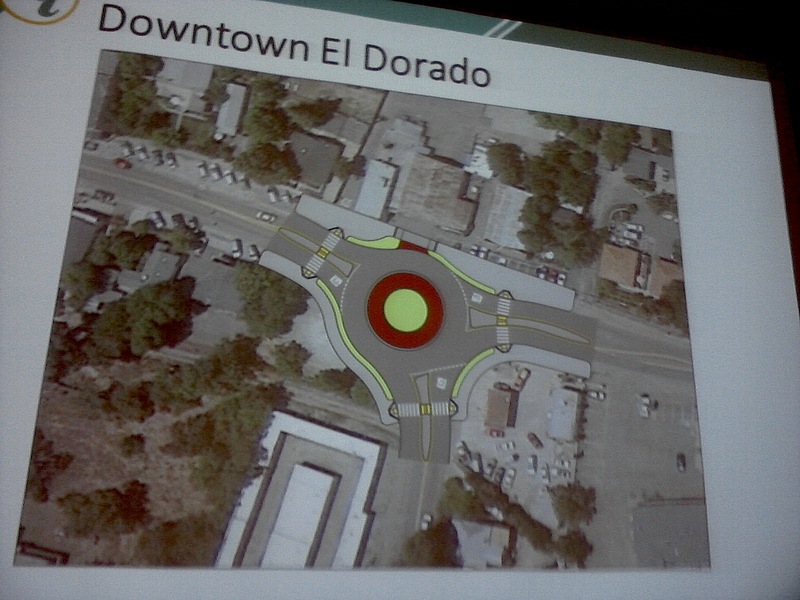 Staff from the Community Workshop sponsored by the El Dorado County Transportation Commission (EDCTC) spoke with local residents about a roundabout option as one of three possible intersection improvements for downtown El Dorado. 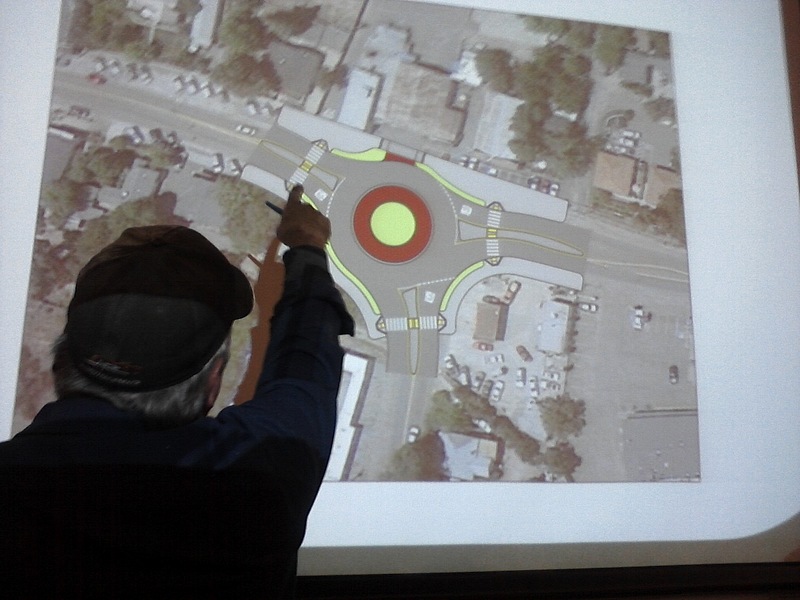 El Dorado County resident George Turnboo who owns an automotive repair shop at the intersection expressed his concerns with staff regarding the roundabout. The workshop was the final community meeting to discuss the Diamond Springs and El Dorado Area Mobility and Livable Community Plan. On March 30, 2011, the El Dorado County Transportation Commission (EDCTC) submitted an application to Caltrans for a 2011/2012 Community-Based Transportation Planning Grant to fund the Diamond Springs and El Dorado Area Mobility and Livable Community Plan. On July 26, 2011, Caltrans notified EDCTC that the Diamond Springs and El Dorado Area Mobility and Livable Community Plan had been selected for funding in Fiscal Year 2011/2012 with an award of $250,000. 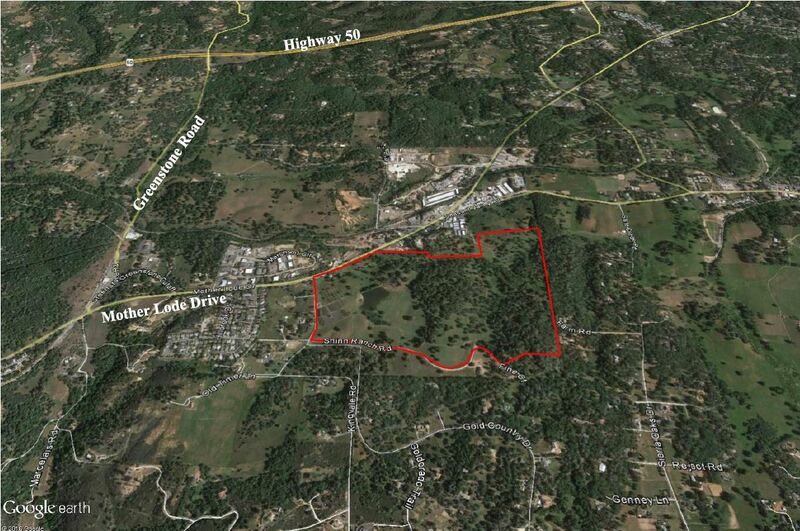 On June 28, 2012, the EDCTC Board awarded a consulting contract to Mark Thomas & Company, Inc. to work with EDCTC, El Dorado County, El Dorado Transit Authority, Caltrans, and the community to develop the Diamond Springs and El Dorado Area Mobility and Livable Community Plan. The Diamond Springs and El Dorado Area Mobility and Livable Community Plan (Community Transportation Plan) will address mobility issues in the communities of Diamond Springs and El Dorado. The project will utilize the most current information available to perform a focused analysis of traffic operations in the project area, including key intersections on State Route 49 and local roads. The Community Transportation Plan will also identify the role, function, and performance of State Route 49, local roads, and bicycle and pedestrian facilities in providing for the safety and mobility of all users of the transportation system. It will also identify improvements to the transportation system and the scope and estimated cost of those improvements that will improve mobility, air quality, and parking in downtown areas while providing people with more mobility choices, including safer routes to school and complete streets. The Community Transportation Plan will also analyze how the relationship between improvements to the transportation system, economic development, and the preservation of cultural, historic, and environmental assets can result in a more livable community with a vibrant economy for years to come. Public involvement and outreach are major components of the Community Transportation Plan. Involving the public in the plan will be accomplished through the formation of a Stakeholder Advisory Committee, public meetings, and meeting with individual members of the public and interested groups as necessary. In an effort to involve a broad range of potentially affected interests, forty-four groups are represented on the Community Transportation Plan Stakeholder Advisory Committee (SAC). The purpose of the SAC is to provide both policy and technical guidance to the EDCTC during the development of the Community Transportation Plan. The SAC’s efforts will be complemented by the technical work of the Project Development Team (PDT) that will include the Mark Thomas & Company consulting team, members of El Dorado County Department of Transportation, El Dorado County Planning Services, El Dorado Transit Authority, EDCTC, SACOG, and Caltrans. The project scope of work assumes a minimum of five SAC meetings and two public open houses.